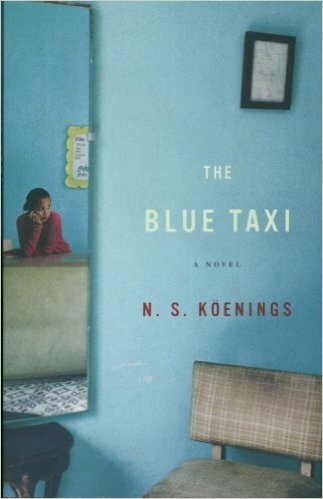 The Blue Taxi by N.S. Köenings is a brilliant work of literary fiction. From the opening line the reader is treated to a feast of language describing with perfect accuracy and depth of detail a story of love and longing, loss and acceptance, new beginnings and dreams deferred. The tapestry of lives woven together includes Sarie, unfulfilled wife and mother, her husband, Gilbert, a small man of meager talents and grand ambitions, wise and naïve Bibi who desires visions almost as much as she does a grandchild, and Majid who lost his mind nine years ago when he lost his wife. Drawn together by tragedy and influenced both positively and negatively by a cast of multi-layered peripheral characters, the lives of all involved will never be the same as they struggle to find their footing. Post-colonial South Africa provides the backdrop for this tale of cultures clashing and expectations shifting in N.S. Köenings’ unforgettable novel. Think I’ll have the library put that one on hold for me. Sounds absolutely marvelous.